Regarding neem and acne there is some good news and some bad news for you. • The bad news: neem is not a miracle cure for acne. • The good news: acne can be treated, and acne can be successfully treated with neem. Neem kills bacteria that cause Acne / Pimples and prevents it from coming back. Neem can either be applied topically, through creams and lotions (Neem leaves also can be crushed and applied on acne) or it can be taken internally (Neem supplement is completely safe because it is nothing but a wonderful herb). Going for Neem Supplement will be a wise decision because it takes care of Facial Acne, Back Acne and other skin disorders like Psoriasis and Eczema as it purifies Blood, detoxifies internally and helps maintain healthy and glowing skin. Many herbalists recommend neem products as some of the most efficient home acne treatments. 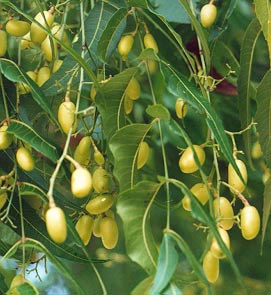 • Neem is a mild treatment that does not upset your skin further. • Neem does not only kill the acne causing bacteria, it also soothes redness and inflammation. • Neem is totally free from any side effect. Neem is an excellent antibacterial herb and it can indeed be very helpful with acne. People do report great results when using it. But don't run out now to grab the next available neem soap bar and that mega savings pack of neem capsules. There is a bit more to it. There are many myths about what causes acne. Things like stress, lack of cleanliness, wrong food etc. may all make existing acne worse, but they are not the root cause for developing acne. There are also many things about acne that are not fully understood yet. For example nobody knows why some teenagers develop much more severe forms of acne than others. There are also areas where specialists disagree, for example the role that food plays. • Acne is a result of clogged oil glands. Acne is the inflammation of the oil glands just under the skin. Acne occurs when the pores of the skin clog up with too much oil and dead skin cells and become infected. Pimples, whiteheads or blackheads, the reason is always the same. Pores of the skin have become clogged. The build up of oil can cause irritation and redness, and bacteria can multiply rapidly. The bacteria cause infection. In bad cases this can lead to infected cysts (the big lumps under the skin) and even scarring. The important points to remember here: too much oil and bacterial infection. • The main underlying reason for acne is hormonal imbalance. Hormones make the oil glands produce too much oil. This hormonal imbalance is the reason that so many teenagers develop acne. Puberty is a time where the hormone metabolism undergoes major changes. Boys are more prone to severe acne than girls, because boys have higher levels of hormones. Women are more likely to suffer from ongoing acne, since the female hormone metabolism is more prone to imbalances. Neem oil does not fix this hormonal imbalance! • The bacteria that cause the infection live on our skin naturally. Usually the bacteria don't cause any problems. Why in some people those bacteria explode and overgrow is not fully understood. To control the harmful bacteria is one of the goals of successful acne treatment. 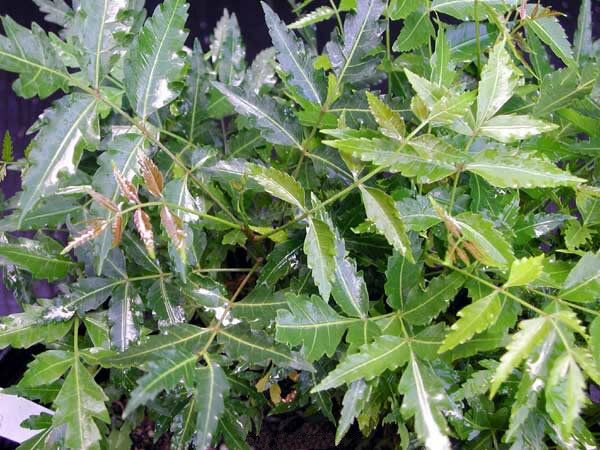 Research studies have shown that all components of the neem tree are strongly anti-bacterial. 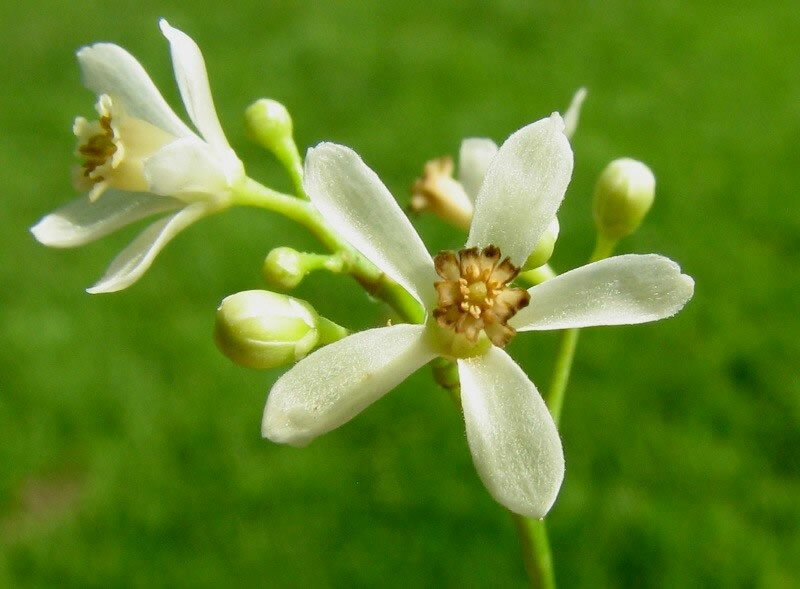 And not just that, neem also contains aspirin like substances that reduce redness and inflammation. These two qualities are the main reasons for the beneficial effect of neem and neem oil for acne. The other goal is to balance the oil levels of the skin. This is where the use of neem for acne can backfire. No, not because neem oil is oily, but because people may do an abusive use of neem soap. Can you treat acne with neem? Yes, you can use neem and neem oil for acne treatment, but don't expect miracles. Just switching to any old neem soap, neem lotion or swallowing a few neem capsules is not a magical quick fix. The reason that neem is useful to treat acne is that, as research studies have shown, it effectively controls the harmful bacteria that cause the infection. It also reduces the inflammation that causes the redness, swelling and tenderness. Neem contains active ingredients that are very similar to the ingredients in common medical acne treatment products. You may have heard of acne products containing "salicylic acid". Well, that's aspirin, and as I mentioned above, neem also contains aspirin like substances. However, even when using neem products you need to use them like you would use conventional acne treatments. You need to find the right product, and you need to follow a skin care regime that's matched to your particular skin type and the severity of your acne. The original article can be found here: Neem And Acne - Does Neem Oil Really Cure Acne?